Australian Automotive Aftermarket magazine is the magazine of choice for the Australian automotive aftermarket industry because of its wide reach, depth of content and features. 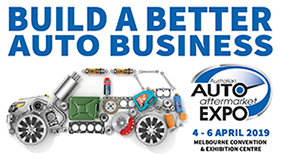 It is the official publication of the Australian Automotive Aftermarket Association (AAAA). It is well established as the industry’s leading publication or journal. It is quite simply the best in its field. The magazine has a current distribution of more than 14,500 copies (CAB audited), with an experienced editorial and production team, which is unmatched by any other trade publication in the automotive aftermarket. Australian Automotive Aftermarket magazine is the only quality, consistent and reliable source of information on the Australian automotive aftermarket; hence, it should be a part of the marketing strategy of every company in the automotive aftermarket, after all, only one magazine can say that it is the official magazine of the Australian Automotive Aftermarket Association! The Australian Automotive Aftermarket Magazine has also recently gone digital. The Australian Automotive Aftermarket E-zine, features added digital functionality, interactivity, is tablet friendly and cross browser compatible.